Inay Rosing, a faithful member of TBC and mother of Pastor Rodel Lasco died on February 28, 2019 at the age of 87. The six-day wake was held at TBC. She was honored at her death with the many testimonies of her kindness, generosity, her show of love and her passion for teaching in secular schools as well as in TBC. She was active in evangelism, in teaching in Sunday school for children and even in mentoring young mothers. The wake also provided an opportunity to preach the Gospel. Those who preached were Pastor Alan Caparas, Rojune Aldemo, Jonathan Sta Rita, Jonathan Cortez and Ezekiel Asis. 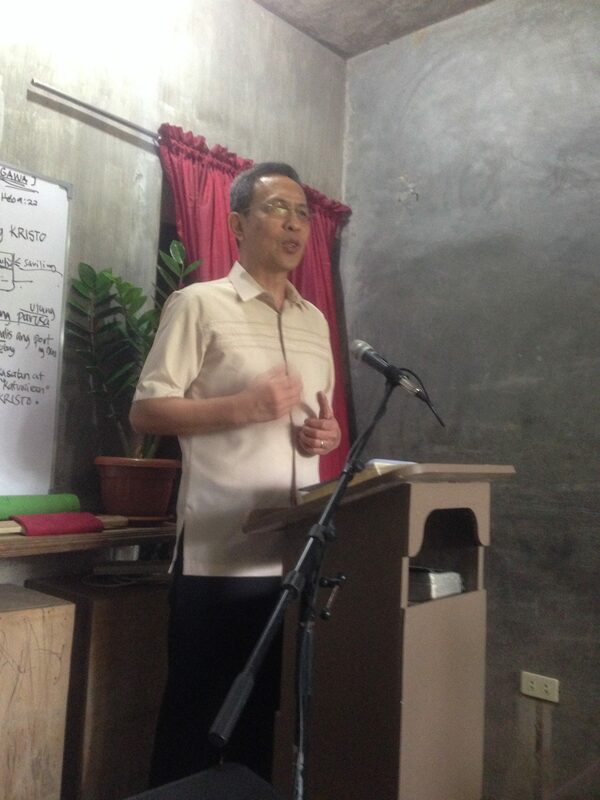 Pastor Rodel gave the send-off message to the those who joined the interment…. 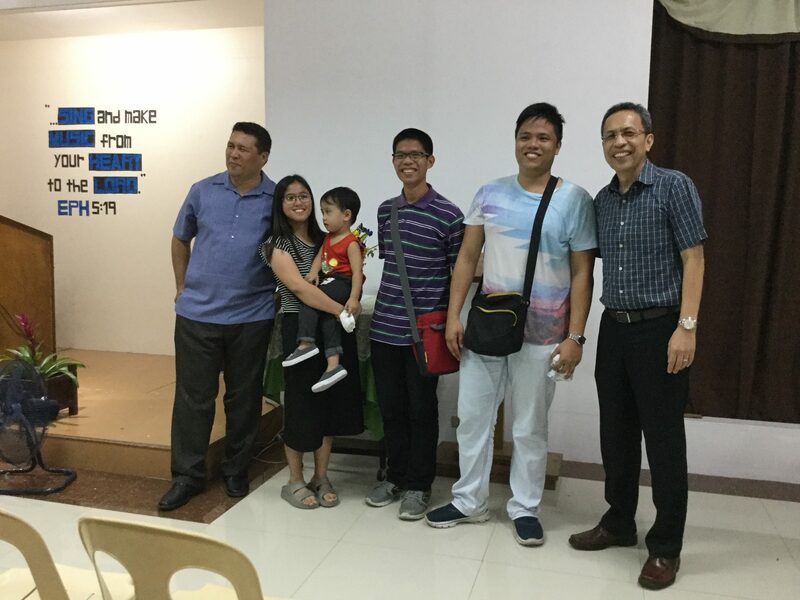 Brother Joel and Elisa Gacalao flew to Palawan on April 17 (Tuesday) to begin theirafdf mission in the outreach of Valley View Baptist Church led by Pastor Manny Avena. Joel was a former member and scholar of TBC, while Liza became a member a year ago. The couple was given a heartwarming send-off by TBC members last March. Last Sunday (April , after the vesper service, TBC women had a last minute gathering to pray for Liza and encourage her in her crucial role as a pastor’s wife. She was reminded that TBC sisters will continue to pray for her. May Lord expand His kingdom in Palawan through Joel and Elisa. It was fun-filled April 19, 2018 for the 15 TBC women who had a one-of-a-kind fellowship in Los Banos. First stop was at the Flower and Garden Show in UPLB Social Garden. The numerous varieties of succulents, orchids, fruit trees and other plants truly showcased the greatness of the Creator. The visit is attuned to this year’s theme: Kalinga sa Kalikasan. After a hearty lunch of Chicken Tinola and breaded fish, the women listened to a lecture on how to be good stewards of the earth by doing a simple task of garbage segragation. They were also taught how to make compost out of kitchen wastes. 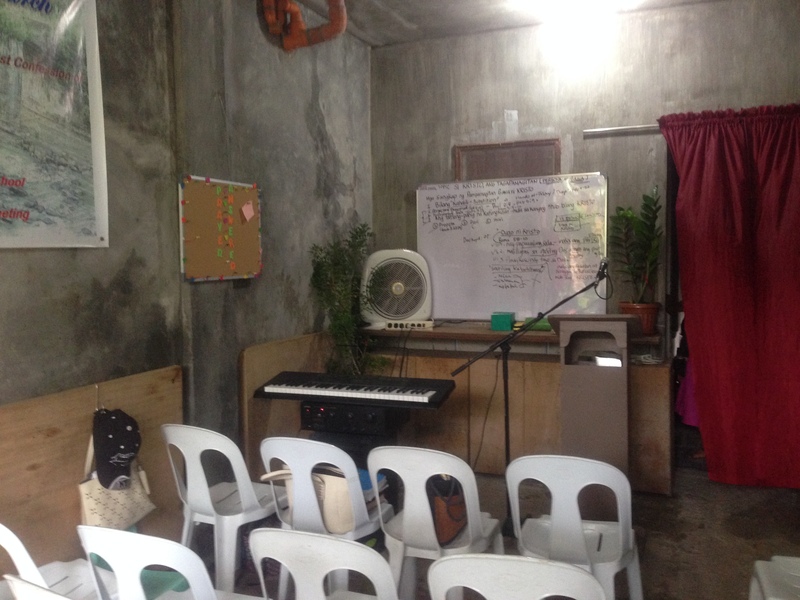 TBC members were joyfully surprised when they entered a pleasantly cool worship hall when they came to worship yesterday (September 17, 2017). 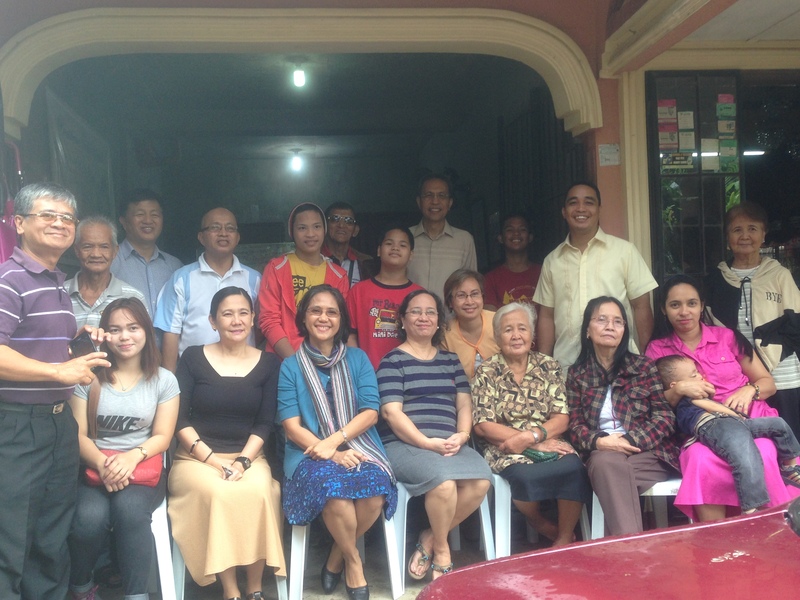 The Lord granted the long-time goal of the church, initially envisioned by Pastor Rodel and Pastor Alan. He used His people to give generously to the project. TBC deacons were conscientiously engaged in the planning, buying, and overseeing the work of enclosing the worship hall, and installing the air conditioning units. With the enclosed worship hall, outside noise is now greatly minimized. With the physical element greatly improved, may it all the more lift up the hearts of God’s people for worship. God be praised for our answered prayer! 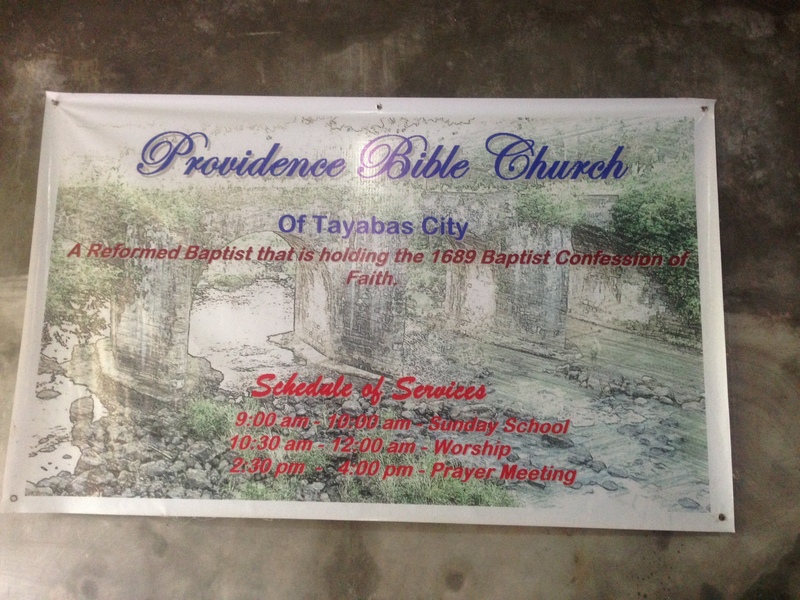 Pastor Rodel preached in Providence Bible Church (PBC) in Tayabas Quezon on January 29, 2017. His message was about redeeming the time. PBC is a young church but their love for the Lord and His work is very evident among the members. Their loud singing was very inspiring. Inspired by TBC Singles’ midweek prayer meeting, TBC mothers have also started their own midweek prayer and fellowship every Thursday from 1:30 to 4:00 pm. 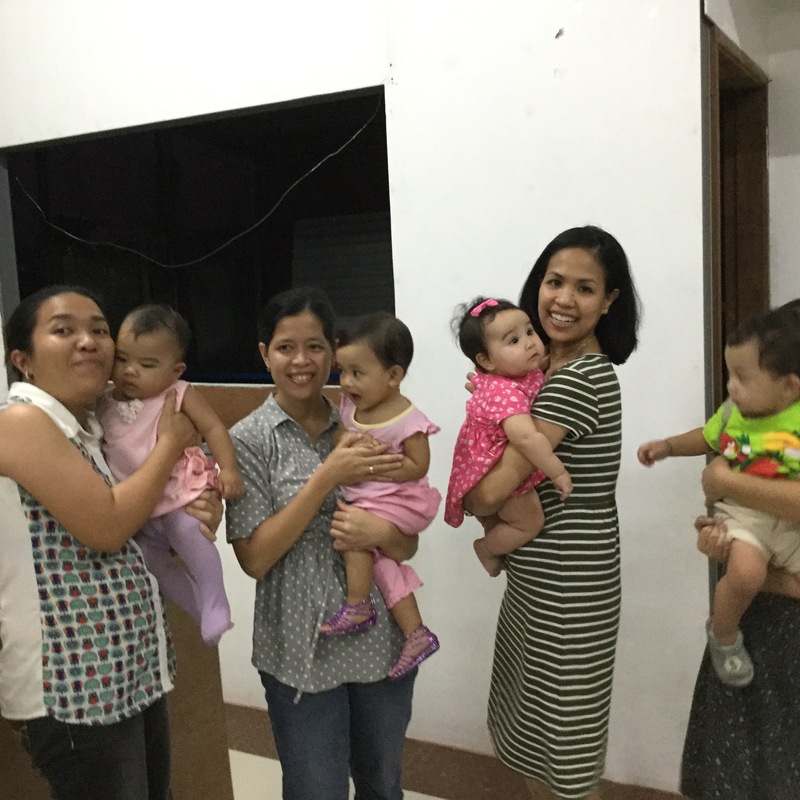 The first meeting was held on January 12, and was attended by Nel and Nina, Aileen (bringing with her, Baby Zoe and Eli), Gie (with Leigh), Janet (with Baby Nigel), Carol, Haydee and Lani. Now more sisters are coming to join: Janet Montecillo (with Japheth), Mel, Nanay Lucy and Nanay Delma. The fellowship starts with a short meditation and exchanges of insights about the passage. Sharing of blessings and prayer request followed, where sisters prayed for each other. The fellowship ends with a hearty merienda brought by the sisters. Inspired by TBC Singles Midweek prayer meeting, TBC mothers also started their own midweek prayer and fellowship every Thursday at 1:30 to 4:00 pm. The first meeting on January 12, was attended by Nel and Nina, Aileen (bringing with her, Baby Zoe and Eli), Gie (with Leigh), Janet (with Baby Nigel), Carol, Haydee and Lani. After the vesper service in TBC last Sunday (January 8) three applicants for membership (Jr, Trincy and Carlo) submitted themselves to a church interview. They read their respective testimonies , after which, the members asked questions pertaining to their salvation. This is to ensure the genuineness of their faith in Christ. After about 30 minutes interview for each one of them, they were gladly accepted for membership. Accepting three members is a shower of blessing for TBC, the first in 34 years. Praise be the Lord! May He bring more sheep into His fold.